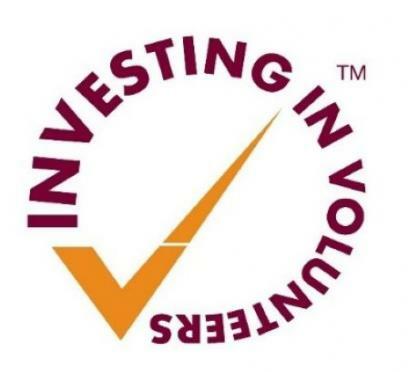 In order to receive this award the volunteer department had to ensure that we met all the practices outlined in the Investing in Volunteers guidelines. In addition, an assessor spent 4 days interviewing staff, volunteers & board members across both hospices. This is this the first organisational wide accreditation achieved by the hospice which is a very significant milestone on our 30th Anniversary. Our volunteers play a very important role in enabling St Francis Hospice to provide a high quality of care to patients and families. We could not do our work without them. This award is for our volunteers as an acknowledgement of the commitment, dedication and support they give to St Francis Hospice. Our Coordinator of Volunteer Services Barbara Kilbride shares her story about supporting and managing the volunteers of St Francis Hospice. A special thank you to our volunteers Jean Wade (Volunteer Florist), Phyllis Murphy (Volunteer Receptionist) and Mary O’Brien, Joke Jansman (Hospice Day Care Volunteer Artists). I started volunteering in St. Francis Hospice in Raheny in 2000, originally working in the coffee shop and since 2012 I have been performing ad hoc duties, for example, singing at Mass, helping in the volunteer Co-Coordinator's office and helping with the Tree of Light ceremony. I also host a coffee morning in my house each September and collect money at SuperValu in Killester for the annual Sunflower Day. While at first I thought that I would be giving something to the hospice with my time, I actually found that I received more than I gave. The humbling feeling that I experience every time I go to the hospice has made me prioritise my own life and has allowed me to reflect on my personal path through life. I can honestly say that I have never had such a rewarding experience as I have done over the past 18 years of my involvement with the hospice and only hope that my small efforts can help in some way with the wonderful work that is happening there. 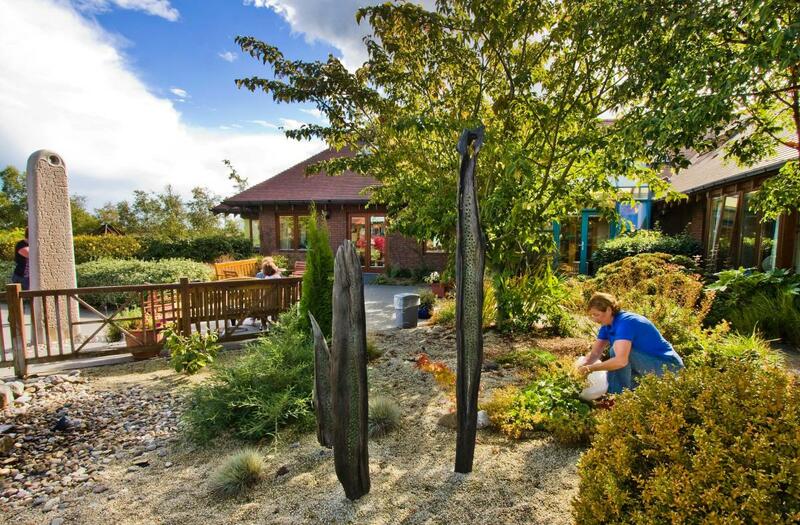 My name is Mícheál Kilcrann and I have been an inpatient unit volunteer at St Francis Hospice Blanchardstown for the past 3 years. Before this I was involved in various fundraising initiatives for St Francis Hospice. Prior to this, I coordinated the blue box collections in the Blanchardstown area for a number of years. I am reminded of the quote by the African American poet and civil rights activist, Maya Angelou “People may not remember exactly what you did or what you said, but they will always remember how you made them feel”. I think that this is exactly how my volunteering relates to me personally, from a volunteer perspective and from the patients perspective too. As a volunteer, I hope that I help, even in a small way, to help patients and their families get the most from this stage of their lives. It has been said over and over by many that it is an honour and a privilege to be able to offer my time weekly to share with patients and their families as well as with the staff of St Francis. It’s a very upbeat place to volunteer despite people’s perception of what the inside of a hospice might be like. I have learnt so much about patience, tolerance and resilience. Every week as I prepare to head home, I am reminded that I receive far more from my time there than I could ever possibly give. Health & Safety Training Workshops for our 310 volunteers play a very important part in our Volunteer Programme here at St Francis Hospice keeping our volunteers, patients and staff safe, but they are also a requirement within Health & Safety legislation. Your cooperation in attending each workshop when due for your role is very much appreciated. Dates for Fire Safety Training Workshops 2018 are in each Volunteer Reading File. If your name is listed, please add and take note of a date and time that is suited to you in Raheny or Blanchardstown. Fire Training is not site specific. Invites for all other training workshops for your role will be posted to you with approximately one month’s notice. For SFHD staff looking to volunteer - did you know there are over 3,000 volunteering opportunities currently available on I-VOL, the national database of volunteering, so what are you waiting for? http://volunteering.force.com/OpportunitySearch. Don't forget to check out the Volunteer Marketplace over on LinkedIn for skilled volunteering roles too.